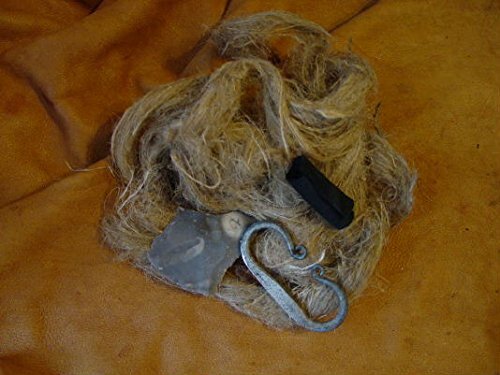 The Wilderness Solutions Deluxe flint and steel set features a larger, three finger style high carbon C scroll striker, English flint, a generous roll of charcloth and jute fiber nesting material. Learn to make fire without matches and start your next campfire just like the earliest pioneers and Mountain Men did. Its easy to do and our included instructions will teach you how. Kit includes; Larger, three finger style striker, sharp English flint flake, roll of charcloth, Jute fiber and instructions. NEW!! - Check out our new Vertical Burn device on Amazon. This device transforms your split firewood into a Canadian Candle.